Home / Are You Keeping an Eye on the Power Management of Your Data Center? 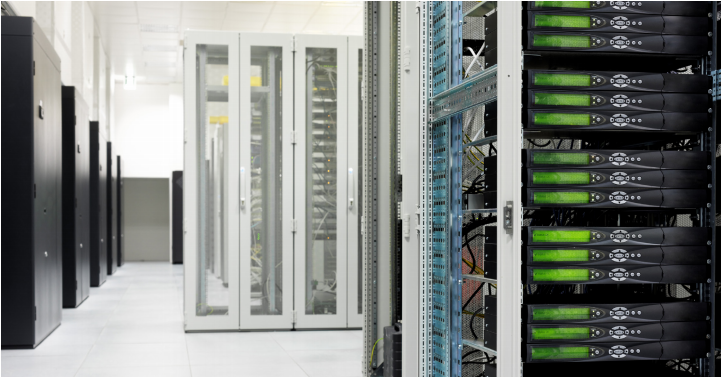 Are You Keeping an Eye on the Power Management of Your Data Center? Did you know that the theoretical optimum for Power Usage Effectiveness of a data center should be 1.4? To calculate your facility's energy consumption, simply divide the total facility power by IT equipment power. If the result is 2 or less than 2, then you are running by the usual standard. However, if the number is 3 or more, then the IT equipment is actually using only a third of the data center energy. This is indicative of the need to focus on data center power management. According to a blog post on Csmonitor.com about data centers going green, the Department of Energy revealed in 2013 that approximately 100 billion kilowatt-hours of energy is used by data centers. For Better Planning: Capacity planning is crucial for the IT department to understand their limits and needs. Efficient planning is then done to ascertain the long term and short term capacity caps and allocations. This will help in avoiding under or over investments in power and cooling infrastructure. Without exact numbers and access to past data and results, this becomes difficult to determine. Optimum Power Utilization: Important figures help in the understanding of how many servers can fit into a rack. This is significant in maintaining high rack densities, which will help uncover any stranded power that instead of getting wasted is channeled to priority areas. Avoiding Overload: Data centers must aim to utilize less power than theoretical peak values for optimum utilization on every rack. Without access to correct as well as real time numbers and trends, there is a high possibility of racks being under populated and server power over allocated. With power management software capable of telling even individual server power usage, a lot of wastage in terms of energy, infrastructure and, in turn, finances can be minimized. Placement: There are various decisions to be made, such as whether there is a need for power extension, is it feasible, will it require additional equipment and where must they be placed. If there is a power circuit overload, the servers may crash and this could lead to heavy losses. Data center power management helps address these issues with regular reports and numbers. Power Distribution Units: Remote controlling or feeding threshold values help in adding extra protection to data centers, so that whenever there is a transgression of this value, the warning system may help bring in remedial measures much faster and minimize the downtime. Managing Hotspots: It is very likely that during peak utilization, there is a creation of localized hotspots. As per the power and cooling capacities and infrastructure, correct workload placements can be done effectively, helping in identifying and minimizing them. All this can be simplified with the right software that helps you monitor, review and regulate effectively. What you get in return are big savings.